Yesterday Brian Williams delivered an NBC Nightly News report about President Obama attending the Copenhagen global warming summit. Guess what hot topic was left untouched? If you had guessed Climategate you would have been correct. Not only Williams but also the other TV networks, with the exception of FOX News, have completely ignored what is considered to be the biggest scientific scandal in history. However, new Climategate revelations made by the Canada Free Press about a White House connection to the scandal will soon make it much more difficult (and ridiculous) for the networks to ignore. I’ve known solar physicists Sallie Baliunas and Willie Soon for a long time. I’ve published articles with Willie and enjoyed extensive communication. I was on advisory committees with them when Sallie suddenly and politely withdrew from the fray. I don’t know if the following events were contributing factors but it is likely. Baliunas and Soon were authors of excellent work confirming the existence of the Medieval Warm Period (MWP) from a multitude of sources. Their work challenged attempts to get rid of the MWP because it contradicted the claim by the proponents of anthropogenic global warming (AGW). Several scientists challenged the claim that the latter part of the 20th century was the warmest ever. They knew the claim was false, many warmer periods occurred in the past. Michael Mann ‘got rid’ of the MWP with his production of the hockey stick, but Soon and Baliunas were problematic. What better than have a powerful academic destroy their credibility for you? Sadly, there are always people who will do the dirty work. Indeed, Holdren’s emails show how sincere scientists would be made into raw “entertainment”. 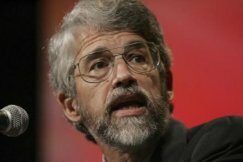 At the time Holdren was Teresa and John Heinz Professor of Environmental Policy & Director, Program in Science, Technology, & Public Policy, Belfer Center for Science and International Affairs, John F. Kennedy School of Government. I’m forwarding for your entertainment an exchange that followed from my being quoted in the Harvard Crimson to the effect that you and your colleagues are right and my “Harvard” colleagues Soon and Baliunas are wrong about what the evidence shows concerning surface temperatures over the past millennium. The cover note to faculty and postdocs in a regular Wednesday breakfast discussion group on environmental science and public policy in Harvard’s Department of Earth and Planetary Sciences is more or less self-explanatory. I append here an e-mail correspondence I have engaged in over the past few days trying to educate a Soon/Baliunas supporter who originally wrote to me asking how I could think that Soon and Baliunas are wrong and Mann et al. are right (a view attributed to me, correctly, in the Harvard Crimson). This individual apparently runs a web site on which he had been touting the Soon/Baliunas position. In a recent Crimson story on the work of Soon and Baliunas, who have written for my website [1 techcentralstation.com, you are quoted as saying: My impression is that the critics are right. It s unfortunate that so much attention is paid to a flawed analysis, but that’s what happens when something happens to support the political climate in Washington. Do you feel the same way about the work of Mann et. al.? If not why not? I guess my problem concerns what lawyers call the burden of proof. The burden weighs heavily, much more heavily, given the claims on Mann et.al. than it does on Soon/Baliunas. Would you agree? But, in practice, burden of proof is an evolving thing-it evolves as the amount of evidence relevant to a particular proposition grows. No it doesn’t evolve; it is either on one side or the other. This argument is in line with what has happened with AGW. He then demonstrates his lack of understanding of science and climate science by opting for Mann and his hockey stick over Soon and Baliunas. His entire defense and position devolves to a political position. His attempt to belittle Soon and Baliunas in front of colleagues is a measure of the man’s blindness and political opportunism that pervades everything he says or does. I’ll close by saying I’m willing to admit that, as someone lacking a PhD, I could be punching above my weight. But I will ask you a different but related question. How much hope is there for reaching reasonable public policy decisions that affect the lives of millions if the science upon which those decisions must be made is said to be by definition beyond the reach of those people? We now know it was deliberately placed beyond the reach of the people by the group that he used to ridicule Soon and Baliunas. Holdren was blinded by his political views, which as his record shows are frightening. One web site synthesizes his position on over-population as follows, “Forced abortions. Mass sterilization. A “Planetary Regime” with the power of life and death over American citizens. Holdren has a long history of seeking total government control. He was involved in the Club of Rome providing Paul Ehrlich with the scientific data in his bet with Julian Simon. Ehrlich lost the bet. Holdren’s behavior in this sorry episode with Soon and Baliunas is too true to form and shows the leopard never changes his spots. Keep in mind that Holdren as the White House Science Czar has direct input to President Obama on the subject of global warming. Perhaps he will even accompany Obama to the Copenhagen summit. Will anybody in the MSM dare to ask Obama about the Climategate revelations of data manipulations and suppression of contrary views as well as the involvement of his own Science Czar in this scandal? A cookie! An oatmeal cookie to the first reporter to dare ask Obama a question about Climategate! And for Brian Williams, a Five Guys burger (with fries) for asking the same question.